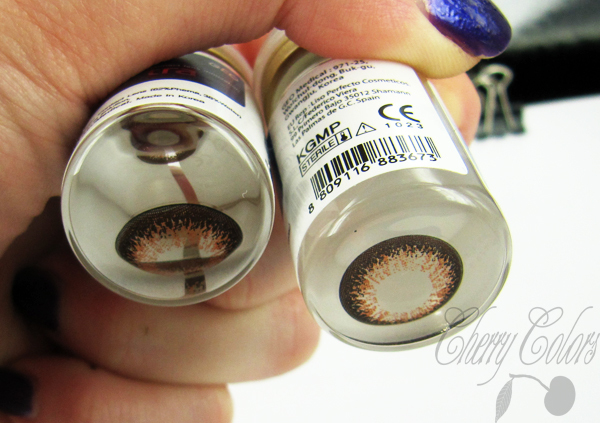 Review: Geo Kira Kira Brown (WT-A44) - Cherry Colors - Cosmetics Heaven! 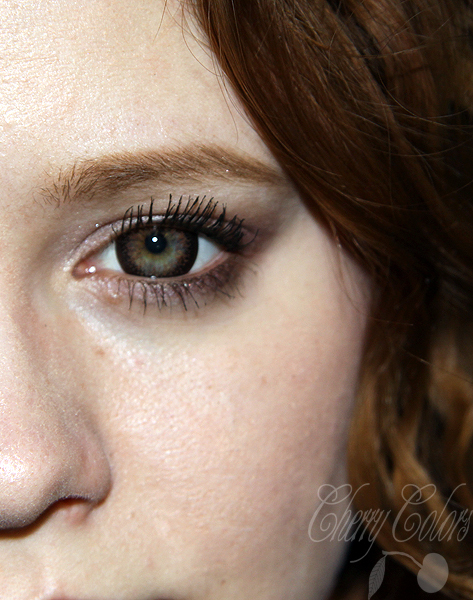 Remember when I mentioned the soulless child look in my last circle lenses review? Yes? No (then click here)? Well, these usually good looking lenses give me the exact look I don't want to have. They probably look divine on brown or black eyes, but on my light eyes they freak me out. 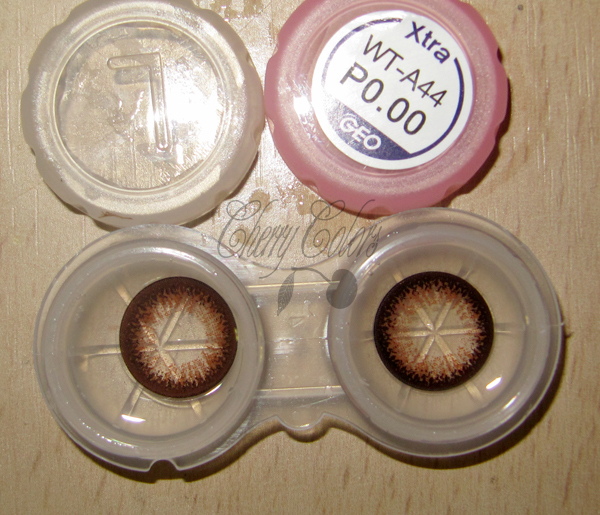 They are the perfect shade of brown and the pattern is just lovely. In close-ups, they actually look decent. So they would look great with a lovely makeup or some dark creature inspired mask.. :D But for daily use. ugh.. Nope. Soulless child! Or maybe looking really tired/wasted?! Not for me =P. They are HUGE! Well, they make my eyes look huge! Which is cute, but not for me. I don't like the color on me, but otherwise, it's a lovely brown. The pattern is lovely, but then again not for my light eyes. These are great lenses, but I don't really like how they look on me. Too dark, the rim is too big. Brown eyes don't really suit me. I'd love it if they came in green <3. 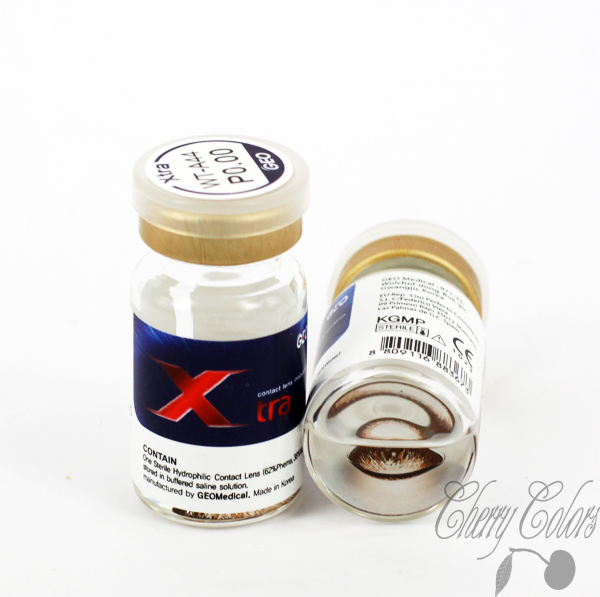 If you are looking for natural looking brown lenses (and you have dark eyes), these are for you. If not. well, move along =D.